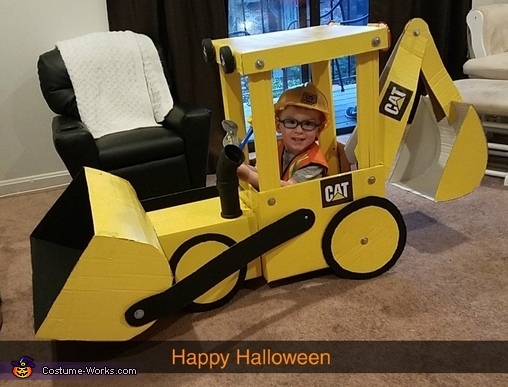 My 2 year old son loves construction and he asked to be a backhoe. So I made a backhoe out of cardboard, some screws, paint and hot glue! I got the idea on Pinterest. Not many instruction just had to look at the picture and cut out the shapes. I also got stick on lights I stuck to the front as head lights and little reflectors on the back.